This Is a Presentation of Ray's Hobby of BELLS. The following is the WebPage version of a slide and sound presentation I gave in September of 2002. 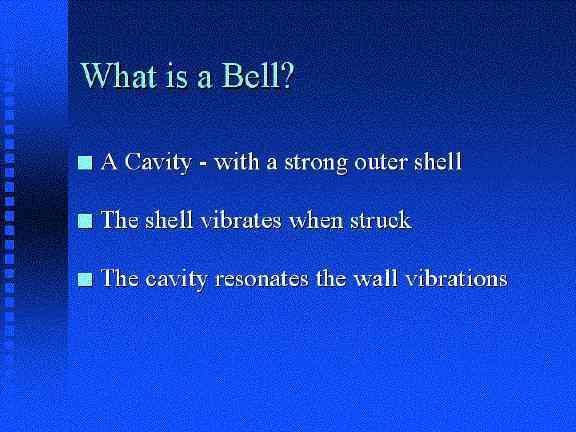 This is what got me started in the study of bells. In late 1993, I asked Herman Postma, the chairman of the Oak Ridge 50th anniversary Bell Project committee, who had just been to Japan where the bell was cast, "How does the bell sound?" He said, "Long and Low." I decided then that the bell sound needed analysis, so that we would know, just how long and how low. More on the Oak Ridge International Friendship Bell, later. 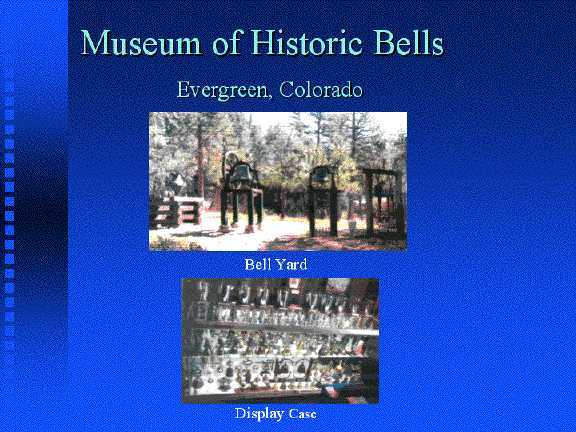 My studies have taken me to the Historic Bell Museum, In Evergreen, Colorado. This museum has almost 9000 bells, most of which are in display cabinets, but some are outside in the bell yard. Each year on July 4th the local citizens are invited to come ring the bells. I Had hoped to see some really big bells at the Evergreen Historic Bell Museum. 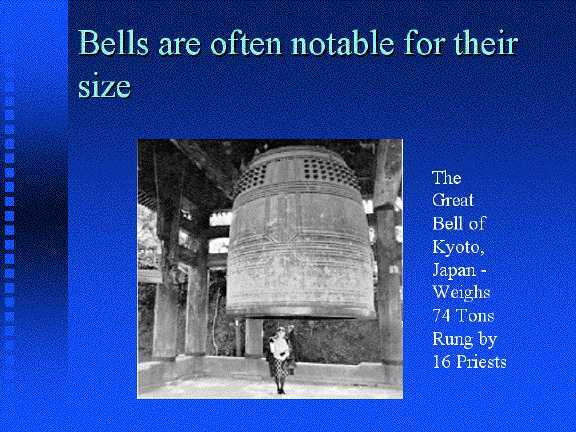 However the largest bells are in Myanmar (Burma), China, Japan, and Korea. 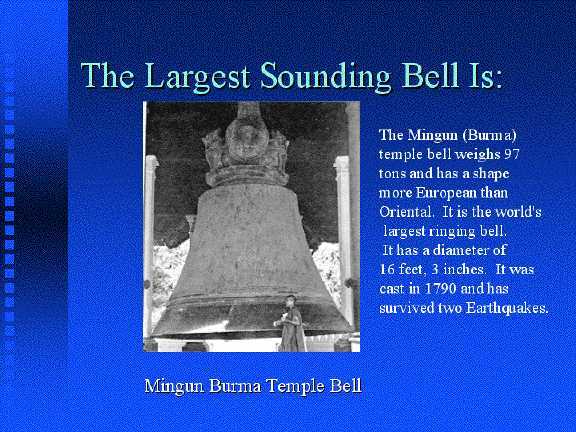 The 2nd largest ringing bell in the world, I found pictured on the Internet. It is the same style as the Oak Ridge International Friendship Bell. It is the largest bell in the Chion-In Temple in Kyoto, Japan. I recently acquired a recording of the sound of this bell. Now that you have seen and heard the 2nd largest ringing bell, wouldn't you like to see the largest ringing bell in the world? It is in the Mingun Pavillion in the country that used to be Burma, now called Myanmar. I also found it pictured on the Internet. 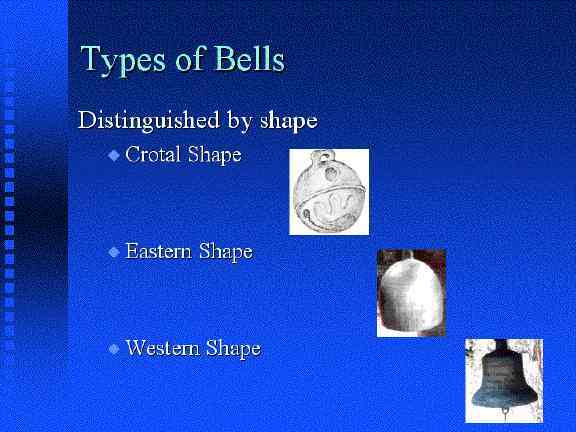 I'll show you more about the shapes of bells, later. 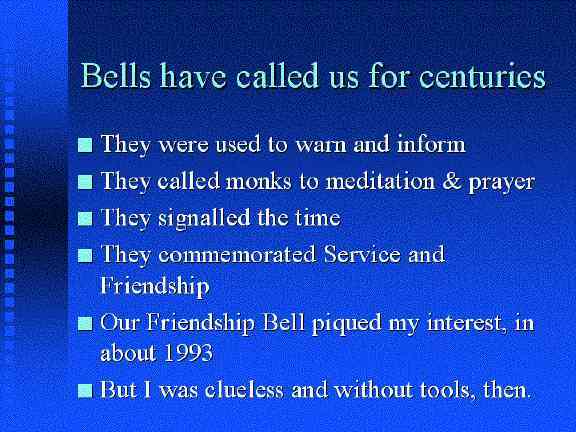 Bells have been in our world a long time. There is a delightful mystery story, a book by Dorothy Sayers called the Nine Tailors. It describes how bells are rung in England - among other things, to toll the death of a town citizen and so inform the populace. The English bell called Big Ben is perhaps the best known time signal in the world.